Lewis Hamilton ended both Friday practice sessions at the top of the timesheets at the Austrian Grand Prix in Spielberg. 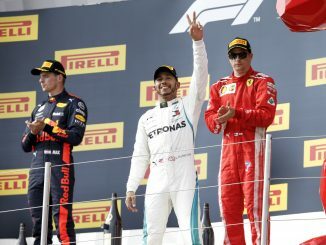 The Mercedes driver was just ahead of teammate Valtteri Bottas, who won last year’s race at the Red Bull Ring, in both outings. 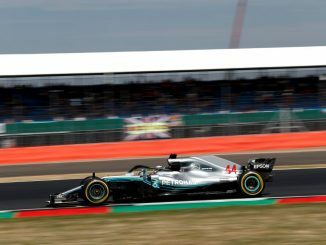 Hamilton’s best time of the day came in FP2 when he posted a time of 1:04.579 on the soft Pirelli compound, which is the hardest tyre available for this race. Bottas was just 0.176s behind. 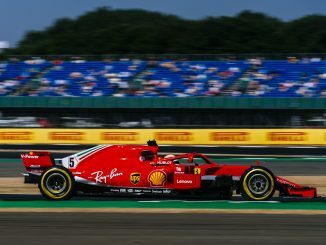 There was little to separate the Red Bull and Ferrari cars in both sessions, with Max Verstappen finishing third in FP1 before Sebastian Vettel edged ahead in the afternoon. Daniel Ricciardo was faster than his teammate in FP2 after having his suspension adjusted towards the end of the morning’s running, while Kimi Raikkonen ended the day less than 0.5s slower than Vettel. Haas were the quickest of the midfield teams, with Romain Grosjean ending both sessions in 7th. Kevin Magnussen missed time after breaking his suspension when running over a kerb, but he also showed strong pace in the Haas to end the day 8th quickest. Haas may find themselves called before the stewards though, as Magnussen’s car was sent away from the pits with a loose tyre towards the end of FP2, although the Dane managed to stop his car before leaving the pitlane. Pierre Gasly also had problems with the prominent kerbs, pulling a wishbone out the front of his car after running wide at turn nine in FP2. The incident brought out the red flag, but Toro Rosso had time to fix the problem and get the Frenchman back out before the end of the session. 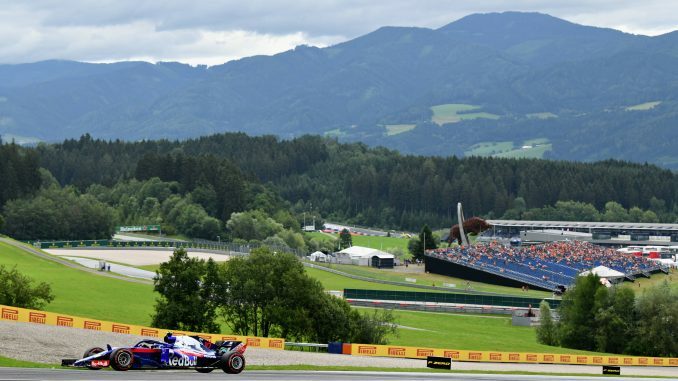 Despite missing track time, he ended the day inside the top 10 and comfortably quicker than teammate Brendon Hartley, who was 17th in FP2 and 19th in the morning. The only driver slower than Hartley in the morning was the Williams of Robert Kubica, who was taking part in his second FP1 session of the season. The team’s reserve driver completed 38 laps at the wheel of Sergey Sirotkin’s car, and was over 0.8s slower than Lance Stroll, but the team insisted he was running different fuel strategies to the Canadian. Missing the morning didn’t seem to affect Sirotkin’s pace too much though as he was 0.3s faster than Stroll after the break. McLaren struggled for pace in the morning, with both drivers struggling to find grip, but Stoffel Vandoorne appeared to find a solution in FP2, with his time leaving him 10th, ahead of both Renault cars and almost half a second faster than his teammate. Fernando Alonso did miss the start of the session though as McLaren had to replace the floor on his car. He ended FP2 19th, with only Stroll posting a slower time. Renault will need to find more pace if they want to make it through to Q3 tomorrow. Carlos Sainz and Nico Hulkenberg were outside the top 10 in both sessions, with Hulkenberg almost 0.3s slower than his teammate and behind both Saubers in the afternoon. Charles Leclerc continued to look strong for Sauber, beating teammate Marcus Ericsson in both practices. He ended FP2 ahead of Force India’s Esteban Ocon, who had been in the top 10 in the morning before slipping back in the later session. However, Ocon was ahead of Sergio Perez in the sister car in both practices, with the Mexican focusing on race pace on the soft tyre.